If you want to experience a satisfying dining in Branson, stop by Arandas Tacos as this is a great dining spot to enjoy delightfully made tacos and other authentic Mexican foods. With a convenient location at West Highway 76 in Branson, it’s the ideal option for lunch while shopping or a delectable dinner before the show. This Mexican restaurant serves tasty chimichangas, burritos, tacos, and more. Arandas Tacos uses the freshest ingredients and expertly prepared chicken, pork, beef, shrimp, and chorizo. The restaurant offers outside seating which is great if you like to enjoy the pleasant weather. Don’t miss the happy hour margaritas from 2 to 4 p.m. Monday through Friday where margarita costs only $3. When you dine in at Arandas Tacos, you will discover their wonderfully prepared, delicious, and authentic Mexican meals. The dining place is small, but the food is fantastic. This restaurant offers guests a basket of duros, another Mexican chip that resembles a wagon wheel. Duros are a popular street food. These treats have a variety of names, including Mexican pinwheels, duritos, chicharrones de harina, and more. Duros are made of puffed wheat, and look like uncooked pasta. Once they are fried or microwaved, they puff up and are seasoned with salt, lime and sometimes chilli powder. Arandas Tacos has a free salsa bar which most guests adore. Aside from several sauces that are featured in the bar, you’ll find jalapenos, pickled vegetables, radishes and chopped cilantro. You’re sure to love this as it’s great to mix it with green salsa for one dish, red salsa for another, and there are options for guests who want a super spicy sauce. If you really love salsa, you can visit the salsa bar and create your own dips for your duros – you’re sure to enjoy making your own chips and salsa. Traditional chips and salsa are available at the bar for $1.99. When you really want to enjoy fine dining in Branson, Arandas Tacos is the place to go. To have a wonderful dinner experience, try the Shrimp Cocktail, complete with large chunks of shrimp, tomatoes, cucumber and avocado, soaked in a thin bath of homemade tomato sauce seasoned with lime. When it’s a hot day, this cocktail can be refreshing. This is not like the American version of cocktail sauce but it’s healthy and light. The Fajitas Jalisco is one of the specialties offered at Arandas Tacos which is really excellent. Reasonably priced at $13.99, the dish is available with chicken, beef or a combo. It is served in a hot lava stone which keeps it warm and makes for great presentation. The meat is plentiful, as were the peppers. These fajitas are draped in cooked cactus over the top of the dish. In other Mexican restaurants, you order fajitas and receive a pile of onions with some meat – this is not the case in this restaurant. 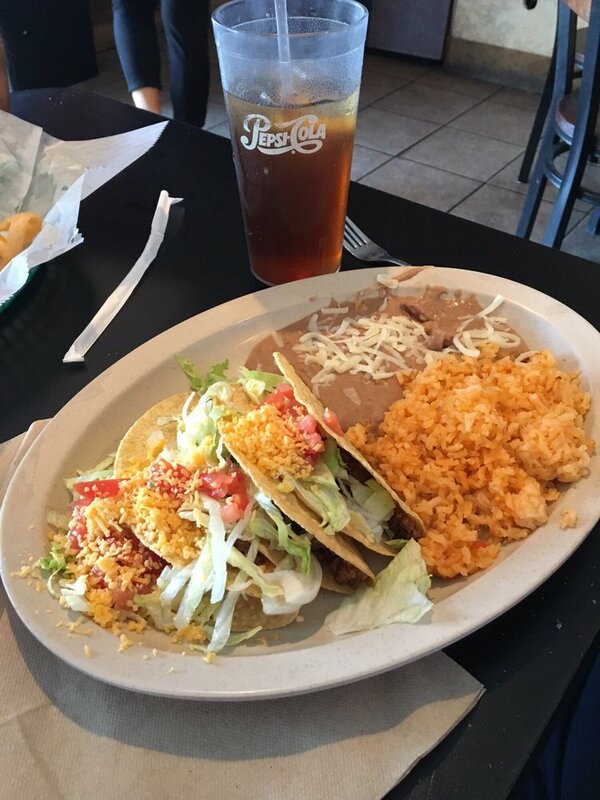 So, when you want to experience an unforgettable dining in Branson, don’t miss to dine in at Arandas Tacos where you’re sure to enjoy delightfully made tacos.